Drivethedeal.com, a broker for a deal on almost any brand new car supplied by a UK main dealer. Event Tyres, who specialise in the supply and fitting of tyres including car, 4x4 and run flat tyres. British Car Auctions, Europe's largest vehicle remarketing company. Motorpoint UK, an independent supplier of new and used cars. Warranty Direct, the UK's leading provider of direct consumer warranties specialising in used car and extended warranties. Lingscars.com, a leading provider of cut-price lease deals. DSG Autos, an independent contract hire, car and van leasing and finance brokerage business. King Automatics, a provider of specialist diagnostics and advice in repairing and rebuilding all makes of automatic gearboxes. Historics at Brooklands, a specialist Classic and Sports Car Auctioneers. HPI, a specialist in car vehicle checks. To qualify for a HAT, businesses must have been trading for a minimum of three years, be signed up to the appropriate SMMT code of practice and demonstrate a thorough and transparent customer complaints procedure. 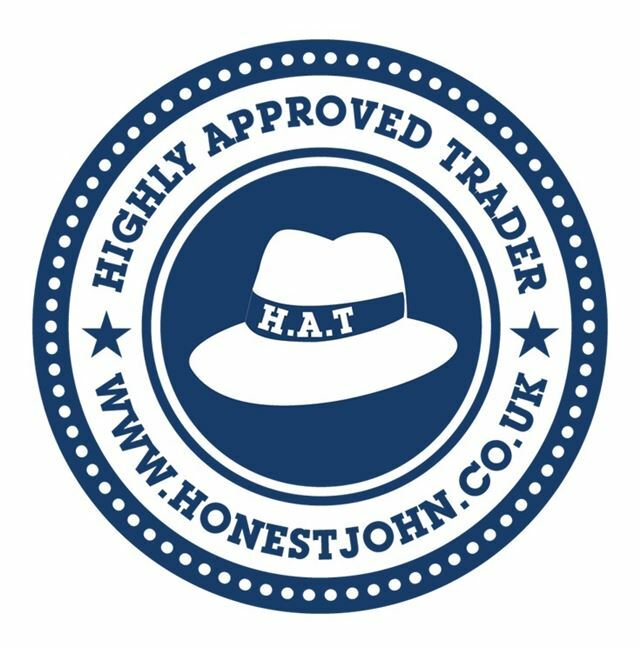 The HAT Standard is then awarded based on Honest John’s final decision and the organic recommendations that he has received. i left honest feedback for event tyres and they deleted it. i wasent impressed with their customer service. I work so hard to get this, it took so long to convince you. But I have highest customer service in my industry, and fastest online communication reply times in the UK, on my customer LINGO user interface. I really try to be the best by massive investment in my website and user experience. I am invited to speak in New York and London by the leading ecommerce company to explain how I do this. This year (2012) I will deliver well over 1,000 brand new cars from Kia Picantos to S-Class Mercs, and every customer gets same superb service level. Customers are happy. I will generate well over £1/2m Gross Profit, probably a LOT more. So, onwards and upwards, to next year! What recession... that has truly ended now, I think. My customers mean the most to me, so I have made a new customer mosaic (no other company in the UK can do this) using tiny images of my happy customers to build the pic.http://www.lingscars.com/feature/cust... - have a look! Thanks again to HJ and keeping up the good work! Thanks for the HAT award!